Four years after their stunning comeback record At War with Reality, At the Gates have returned with another stellar collection of melodic death metal, To Drink from the Night Itself. Recorded with super metal producer Russ Russell (whose has worked with Napalm Death and Dimmu Borgir), To Drink from the Night Itself is an incredible blend of piercing metal and dark, brooding neo-classic music, resulting in the year’s best metal record. Russel gives the entire album an old school death metal feel, keeping the record from sounding bloated and overproduced. While this takes away a bit of the clarity many associate with At the Gates, it also harkens back to their earlier recordings from the early 90s, when the band was still developing their groundbreaking sound. The opening instrumental “Der Widerstand” sets the mood perfectly: with dark guitar work and soaring orchestration. Many listeners would not associate classical music as an influence on At the Gates, as their sound is so pummeling, but one only needs to listen to the first proper song, the punishing title track, to firmly grasp the sheer focus and musicality the band possesses. Composed solely by bassist Jonas Björler (who wrote all of the music on the album), the title track blends queasy atonality and classical overtones. There are plenty of tasty melodic guitar lines to go along with the ferocious dissonance. As usual, the snarl of Tomas Lindberg remains intact, with his literary-influenced lyrics providing the perfect counterpart to the blazing metal. 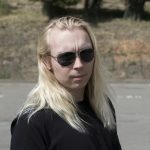 While many fans thought that the departure of founding guitarist Anders Björler would be a big blow to the band, new lead guitarist Jonas Stålhammar picks up the slack in admirable fashion. While he is not the technical wizard that Björler was, his stellar rhythm playing along with his knack for memorable guitar solos are impressive to hear. 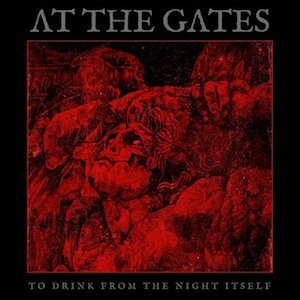 Like many other At the Gates albums, the strength of To Drink from the Night Itself comes from its lyrical and musical cohesion: each track adds up to a greater whole that becomes the album. These are not songs that are easily digestible; in fact, they require repeated listening to fully understand and appreciate their complexities. For example, the mid-album track “Daggers of Black Haze, a song that begins with some delicate and brooding piano before turning into a mid-tempo metal dirge. The dreary musical atmosphere shifts and turns, blending clean-toned guitar passages with aggressive distorted basslines along with plenty of winding guitar passages. Eventually, the song breaks down into an acoustic interlude, yet it loses none of its intensity, with Stålhammar delivering a short but captivating guitar solo. Detractors will, of course, point out that this record sounds nothing like Slaughter of the Soul, the genre-defining 1995 album that made At the Gates one of the most influential bands in the history of metal, but that is exactly what makes this album so enjoyable. Instead of trying to repeat themselves, At the Gates have taken a sizeable risk in altering their sound and venturing into different sonic territories. 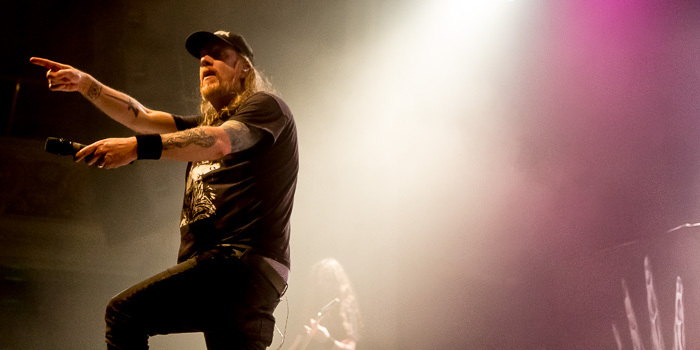 To Drink from the Night Itself is by no means a perfect album, but it is a vital step forward in the career of At the Gates. To Drink from the Night Itself is an awe-inspiring album that demands repeated listens, and it is a great continuation in the legendary discography of the best melodic death metal bands around. If you’re looking for complex and challenging music, look no further.